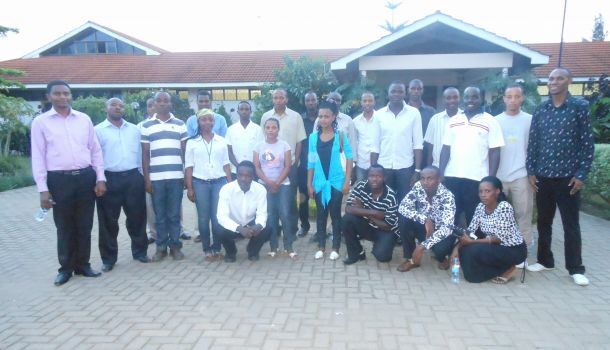 On December 22nd 2012 KIITEC held an event to gear up for the official 2013 launch of the KIITEC Alumni Association. Since inception in 2004, KIITEC has graduated close to 150 talented technicians proudly working in their field. KIITEC aims to maintain strong links with its alumni, family and supporters through this association. The purpose of the event was to invite KIITEC alumni to come together to form a productive and useful network of people linked to both the technical institute and each other. For many, the event was the first opportunity to celebrate together their connection with KIITEC since graduation. The group took the opportunity to share new ideas and achievements and identified both the short and long-term goals of the association. A vote was held to elect the community leaders for the 2013 assciation. Nzinyangwa Mcharo was elected as president, Bertha Mbugha as First Assistant and Godlisten Heaven will be the secretary. The next meeting will take place on January 26, 2013 with the official launch shortly after.